Keyshia Cole has been ordered to stay at least 100 yards away from Sabrina Mercadel, whom she attacked last month at Birdman's penthouse. 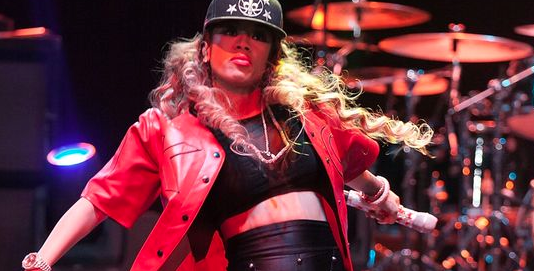 More details are coming in concerning Keyshia Cole's recent fight with reported Cash Money employee Sabrina Mercadel. As we initially reported in September, Keyshia was arrested after entering Birdman's house and attacking the other woman she found there at 5 AM. Now TMZ updates us on new legal developments concerning the assault. Mercadel has filed legal documents against the singer, accusing Cole of punching her in the face, throwing objects at her, and scratching her with her nails. Mercadel alleges that both her neck and back were hurt following the incident, and one of her fingers was hurt so bad it might be damaged for good. On her end, Mercadel says she was just at Birdman's penthouse because she was "visiting a friend"-- they weren't screwing, apparently Birdman was just having an early morning party. She asked the judge for a restraining order, which was granted. Cole must remain at least 100 yards away and cannot contact Mercadel.